After working on my first iPhone projects Timy and Raz*War, I was really excited about iOS Development and wanted to go further with what I learned. These 2 apps were built without a framework (except for some small open source libraries), but still there was this one framework that looked very promising and I wanted to use: cocos2d. The cocos2d home page en wiki page. kwigbo.com: Tutorials, Code Snippets and Apps with source code. Learning cocos2d and box2d: Tutorials on how to build a game. 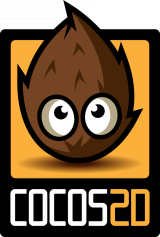 More posts about my experimenting with cocos2d will come soon. I prefer texturepacker for my projects since it has much more functions that zwoptex. Indeed. We just started 2 cool projects using cocos2d and TexturePacker is indeed a good tool. We are using it and never looked back to Zwoptex. I love it because you can easily integrate it in your XCode build process. I will have to write a follow-up on this post. Games really are the great lotto ticket of development these days. If you game makes it, it’s money for jam but getting noticed is just so hard with the amount out there now. Do you do any Android development? Not yet. I’m focusing on iOS now, but who knows what I’ll do in the next years. I have been known to change technologies. Just look at my blog. I just like to create stuff and the technology is just a tool.